As long as I’ve known my sister (i.e. my whole life), she’s been replete with ideas both good and bad. For example, when we were kids she liked to play “chef” and take random ingredients in the small kitchen at our after school program and “cook” (or rather, mix) them and then serve them to poor saps like me. She and her friends would run around exclaiming about their marvelous creations and I only recently learned that, despite her proud exclamations of her masterpieces, she in fact found them as disgusting as I did. And it was such a relief! I mean, we’re talking about ketchup, flour, water, sugar, baking soda, and food coloring. That kind of thing. Yech. Want a quick, relatively healthy, but really nice meal? 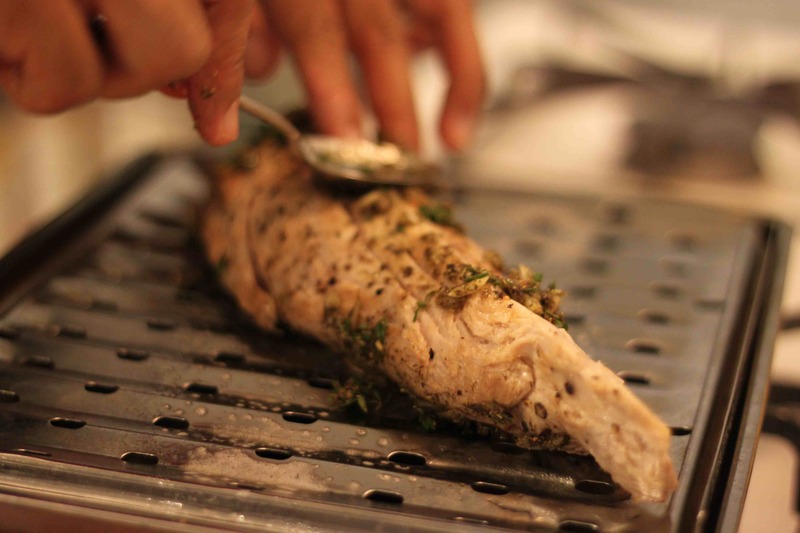 Look no further than Ellie Krieger’s roasted pork loin with parsley-shallot sauce. 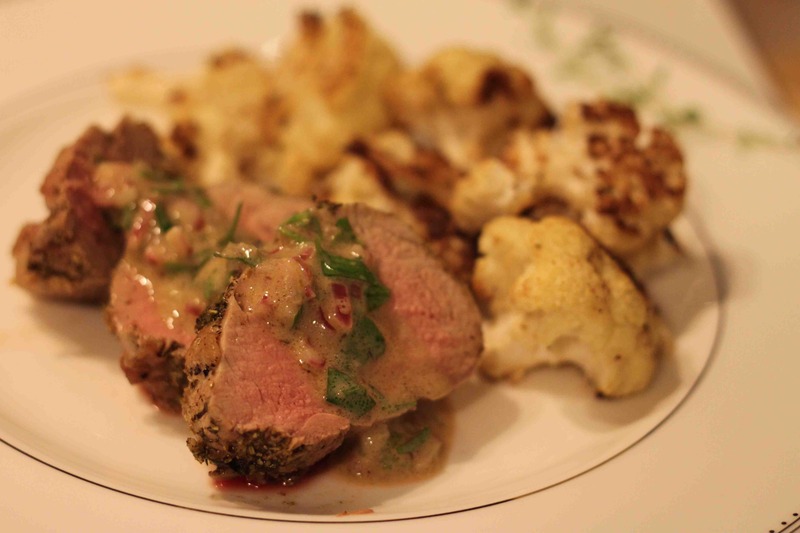 Joseph cooked the pork while I prepared the roasted cauliflower (yes, I know I got the easy part).